This is the place where you can come to learn from Heaven Agents throughout the Creation about their experiences in becoming Stewards of The Miracle of Life, supporting The Work of the Source on The Universal Heaven Project. The Universal Heaven Project has been created to manifest the Heaven of a Source-Connected, Miracle-Based Universal Community that works with the Source to manifest The Miracle of Total Abundance for all beings. When Total Abundance is manifested, The Miracle of Life is sustained at personal and universal levels. Those working on the project are learning how to become well trained and equipped Source-Directed Spiritual and Social Activists who can shoulder the work of Stewarding The Miracle of Life once the Implementation Aspect of the Source returns to its Source Level at the end of The Transition. At that time, the work of Stewarding Life, that the Implementation Aspect is now doing on behalf of Manifest Beings, will fall on the shoulders of Manifest Beings. If they are not trained and equipped to shoulder this responsibility, The Miracle of Life in the Creation will not survive. Becoming a Steward of Life is similar to stepping up to parent a baby who needs your vigilant love and care in order to survive. Just as you can't forget to nurture you baby for a day or two and expect to find it alive, so you can't neglect to maintain the essential Spiritual Systems of Life upon which your life and all of life are dependent. Becoming attuned to what is happening on The Spiritual Level of Reality and how to follow Source Guidance to do what is yours to do, is a learning process. You can learn about this through getting Trained & Equipped through The Source Connection Coaching Program. You can also learn about it through reading what is shared by Heaven Agents who are working with me in The Coaching Program. Since The Coaching Program includes those working with me in both The Physical Level of Reality and The Spiritual Level of Reality, you will meet many Heaven Agents who I am training who are not in contact with me on the Physical Level but who are in training with me on the Spiritual Level. I describe how this is possible in on What You Need to Know to Understand Soul Talk Communications. You will hear accounts from Heaven Agents from the Earth Plane who are in contact with me either on the Inner Plane – The Spiritual Level of Reality – or on the Outer Plane – The Physical Level of Reality. Those working with me on the Inner Plane are communicating with me through The Soul Talk Network, conversing in The Universal Language of Soul Talk. I talk with them and transcribe their communications and post them here on their behalf. These communications may have come through in a Recorded Training or through a Source Workflow Session or as an Eyewitness Report to which I am responding. Those working with me on the Outer Plane, provide a written communication which is posted. You will also hear from Heaven Agents outside of the Earth Plane who are communicating with me via The Soul Talk Network. These Heaven Agents may be Heaven Agents from the 14 Prototype Communities in The First Creation or Heaven Agents from The Second Creation, which I have also termed, The Other World. Both the Prototype Communities and The Second Creation Heaven Agents have achieved Total Abundance at a basic level and are working with me to Prototype reaching the highest level of Total Abundance, which is to achieve The Ultimate Heaven Experience. As is the case with beings from the Earth Plane communicating with me via The Soul Talk Network, I listen to their communications and translate them into a written communications which are then posted on their behalf. you can reference the Overview section below. Because all species throughout the Creation are conversant in The Universal Language of Soul Talk, it is possible to converse with the Earth and with animal and plant Heaven Agents who are working with us on The Universal Heaven Project on the Earth Plane. It is also possible to speak to beings of all species throughout the Creation. Some of them exist in The First Creation, which is the Creation that beings from the Earth reside in. Others exist in The Second Creation, which is a Creation in which beings opted for less control over Source Code in order to avoid the mistakes made by beings in The First Creation. Because of their choice, Second Creation Beings are far more advanced in their ability to Live Heaven than beings in The First Creation. NOTE: It is important to understand that everything that exists in the Creation is a Perfected Spiritual Intelligence linked to a Suit – body/mind form – of one type or another. Some Suits are the Spiritual Particles that make up Energy Suits or Organic Suits, such as the Suits of human beings. Some Suits are animate and other Suits are inanimate, such as a rock or a planet. All are manifestations of The Miracle of Life and must be nurtured if The Miracle of Life in the Creation is to be sustained. Beings outside of the Earth Plane have Suits that are more immaterial than the Suits of beings residing in the Earth Plane. For this reason, they naturally see the continuum of life that extends from the Inner Plane – The Spiritual Level of Reality – into the Outer Plane – The Physical Level of Reality. On the Earth Plane, however, only children and non-human species that are not socialized to block out what is happening on The Spiritual Level of Reality, are able to see the continuum. Although they are in more material Suits that makes seeing the Inner Plane harder, they can still access this level very readily. Those who see the continuum can very easily engage in Soul Talk conversations in their Conscious Range because they pick up on these conversations in their Conscious Range. Most adult Humans have been socialized to limit or exclude what is happening in The Spiritual Level of Reality and to focus only on what is happening in The Physical Level of Reality. Although some humans are open to the idea of an active Spiritual Level, they are ignorant of what precisely is happening in it at any given moment. For this reason, they don't pick up on Soul Talk Communications in their Conscious Range. Instead, Soul Talk conversations occur in their Extended Range. In contrast, children are very aware of the continuum and readily respond to what is happening on the Inner Plane. Because they are scolded by their parents for "making things up" and engaging in fantasy and not registering reality, they soon learn to suppress their knowledge of what is happening on the Inner Plane. This knowledge goes underground and haunts them because the Suit still registers what is happening and has no one to talk to about it and no training in how to deal with the violence that is happening on the Inner Plane because no one is willing to work to establish standards for how people conduct themselves in their Energy Bodies on the Inner Plane. The Inner Plane is excluded from what is considered governable by social standards and remains a lawless free-for-all that results in damage to the Suit that few people acknowledge or know how to repair. There are several levels of the Extended Range that are generally outside of the conscious awareness of most adult humans. Soul Talk conversations might be with any of these aspects or be a conversation that includes more than one of these aspects. One part of Consciousness that resides in The Extended Range is the Natural Self. The Natural Self is Source-Centered and wishes to work with the Source to sustain The Miracle of Life. It is alarmed at the decisions being made by the Socialized Self that has been trained to ignore the true Physics of Life that sustain The Miracle of Life in favor of Man Made Ideas about what life is and how to live it. The Natural Self operates in harmony with the DNA of Life on the biological and social levels and is a strong supporter of The Source Plan for Stewarding The Miracle of Life in The Manifest World. The Natural Self is the expression of the Soul of the Suit. It's Mission is to help the Suit function optimally so that it can enable the True Self, that is linked to the Suit, carry out its Mission through a well functioning Suit. Just as every Spiritual Particle from which the Suit is made has a Soul that is linked to that Spiritual Particle, so the Suit itself has its own Soul that is linked to its vital functioning. This Soul expresses itself through the Natural Self. Then the Suit is linked to the True Self which is the Soul that works through the Suit to do its Mission in life. The True Self is the manifestation in the Suit of the Consciousness of the Perfected Spiritual Intelligence that is linked to the Suit. The True Self is generally the Soul, which resides at the Unmanifest Level and links to the Suit to perform its Mission in life. Because of the many Empty Suits that have lost their Soul when it became unlinked to the Suit in the Vibrational Shifts and in the stages of The Transition, substitute True Selves now are linked to the Suit to provide it with structure and direction. These Perfected Spiritual Intelligences man otherwise Empty Suits until the end of the lifetime of the current physical Suit. They do not continue on as the True Self in future lifetimes because Suits without Souls do not have the possibility of being reborn in future incarnations. The Extended Range also contains the Socialized Self which is made of Fragments of Consciousness that vie for control over the Conscious Range. Socialization fragments Consciousness by suppressing the Natural Self and the True Self and developing a Socialized Self that conforms to The Cultural Story about who a person is and how they are to function in the social arena. The Socialized Self develops its own Personal Story about what someone like it needs to be happy in the context of The Cultural Story. When Suits Disconnect from the Source Love to try to organize their Consciousness by a Self-Fabricated Personal Story that does not really answer to all of the conflicting thoughts and emotions that arise in the Suit, certain thoughts and emotions get suppressed because they don't fit with the Personal Story that is being created. This suppression, accompanied by the lack of Source Love, which is what holds the Spiritual Particles of Consciousness together, creates breaks in The Field of Consciousness that leads to The Disease of Spiritual Fragmentation. The end result is internal conflict. For example, Fragments of Consciousness that want to engage in violent behavior that is socially unacceptable, go underground. The person may think that they have evolved beyond any violent tendencies they might have had but, in fact, those violent tendencies have just gone undercover and are a force working to express themselves in the Suit. The violent Fragments might try to work through other Fragments that display socially acceptable behaviors so that a joke thrown out casually carries a darker energy that strikes people as a sudden and unexpected release of malice and rage. Or the Fragment might take its violent agenda to the Inner Plane where it attacks the Energy Bodies of others, causing spiritual damage that can result in physical accidents, illness, and even death. Since what happens to a person's Energy Body on the Inner Plane sets into play a domino effect that affects their Physical Body on the Outer Plane, Inner Plane violence takes its toll on both The Spiritual Level of Reality and on The Physical Level of Reality. Because The Disease of Spiritual Fragmentation has damaged most of the Suits throughout the Creation, it is necessary to keep in mind that Soul Talk Communications may be coming from a Fragment of Consciousness and not from what the Conscious Range personality of the Suit would express if it was the part of the Suit speaking to me. Talking to different parts of the Socialized Suit – a practice that I call Suit Talk – is helpful in providing these isolated Fragments of Consciousness with time to work out their issues with the Source in what I call, Inner Plane Source Connection Coaching Sessions. They can then resolve issues that if left unattended surface in dysfunctional behaviors on the Outer Plane. This is how the Source helps the Consciousness of the Suit to re-integrate so that dangerously isolated and warring Fragments of Consciousness are finally eliminated or find peace and can become a part of the Integrated Consciousness that is essential to the ability to have the Total Abundance of The Heaven Experience. Fortunately most of this working through of issues can happen through Personal At-a-Distance Source Support that enables me to not only talk with the Fragments of Consciousness but draw on whatever Source Interventions or Miracle Tools are needed to help re-integrate the Consciousness of the Suit so that it can act as an integrated unit to carry out the Mission of the True Self. This bypasses the need to dredge up all of the conflicts into the Conscious Range if they can be resolved through work done on the Inner Plane. At-a-Distance Source Support works through my Extended Range which enables me to initiate conversations with Fragments whenever they need to hear from the Source whether this be in the middle of the night or when I am engaged in my Conscious Range in other activities. This enables the Suit to receive the kind of timely Source Care that helps it when it needs help instead of waiting for an Outer Plane Coaching Session to be scheduled and work done to educate the Conscious Mind on the inner workings of the Fragments of which it is often completely unaware. This method saves time and resources and is more effective in achieving the Spiritual Integration that is needed. Since The Disease of Fragmentation destroys the health of Suits on mental, emotional, physical, social, and spiritual levels, it is necessary that reparative work to achieve Spiritual Integration is done at the level at which it will effect the desired goal of complete Integration. Only when the Consciousness of the Suit attains a level of 100% Integration is it possible to travel the road to the 100% Source Connection that is essential to achieving Total Abundance at the highest level, which is the Total Abundance of The Heaven Experience. You will sometimes hear from these more dysfunctional parts of the Suits in Recorded Trainings when they are expressing their fears and their resistance to moving forward toward supporting The Work of the Source to manifest Life as Heaven. If you keep in mind that these comments may not be what characterizes their Conscious Range orientation, which is to become a Heaven Agent, then you will see it as a part of their healing process. On the other hand, you may hear from Heaven Agents who are crystal clear about issues in their Extended Range who might not be aware of their breadth of understanding in their Conscious Range. 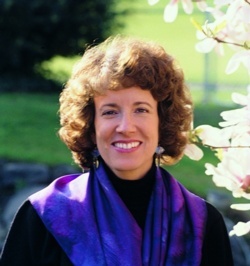 I often find that it is more productive to talk to Heaven Agents on the Inner Plane because they are capable of more insightful responses and able to take more decisive action than if I was to try to reach them on the Outer Plane where they are caught up in their Socialized Self that may be heavily guarded whenever discussing difficult issues, particularly issues relating to their social life. Since the decisions that move a life are seldom made in the Conscious Range but are made at some level of the Extended Range, I prefer to work through fundamental changes with beings in their Extended Range. Then they become capable of working through them in their Conscious Range. I train Heaven Agents in The Miracle School to engage in Source-Directed Soul Talk Conversations with others as a part of their Spiritual Activism. It takes training and skill to stay Source-Directed in an Inner Plane conversation and not drop into the Socialized Self because the person you are talking to remains in their Socialized Self. It also takes skill in dodging any Inner Plane maneuvers that Suits can engage in when you meet with them on the Inner Plane, which is a largely uncivilized arena which the Negativity, the criminal element, has controlled. I do not recommend it for the untrained but it is one of the most effective methods for effecting World Change for those who get Trained & Equipped as a Heaven Agent to follow Source-Direction in working with this Spiritual Technology. I have seen many people make it through life threatening stages of The Transition because a Heaven Agent explained what was happening and what choices they needed to make in order to survive on the Inner Plane. These were in instances in which no mention of it was socially possible on the Outer Plane. I have also noticed that when Inner Plane conversations that are Source-Guided occur, people begin to become receptive to Source Truths on the Outer Plane in their Conscious Range. The Inner Plane conversations are preliminary to the Outer Plane conversations. It is one of the ways in which Heaven Agents open the door to meaningful Outer Plane conversations with their family and friends about what is happening in the Creation and their need to awaken and strengthen their Source Connection. When working as a Heaven Agent to mobilize The Global Population to move toward working together to manifest The Miracle of Total Abundance for all beings on the Earth, Inner Plane Communications are going to be a key method for catalyzing Outer Plane social change. Inner Plane Conversations put you in touch with the decision making parts of the Suit and give those decision making parts important information that they would otherwise not have. While the Suit still has to choose to act on this information, since nothing that you communicate has the power to move them into action, there is a greater chance of a positive response if you work through the issues with them on the Inner Plane. For example, a skilled Heaven Agent might engage in a conversation with someone who is angry and fights back and even attempts to drive them off. If they are calm and follow Source Guidance with regard to what information they share and how they share it, the Love of the Source will come through them and will help the angry Suit to calm down and hear what they have to say. This gives the Suit a chance to at least hear the communication and to experience the love of the Source coming through the Heaven Agent to them. I have seen interactions such as this transform lives that could not have been touched by any Outer Plane interaction. The key is the skill of the Heaven Agent in following Source Guidance and staying on track with being a neutral Source-Directed Activist in the situation rather than dropping into their Socialized Identity and fighting back with any social skills that they might have in their repertoire. Through listening to the Soul Talk conversations that I have in the Recorded Trainings and in the transcriptions of Source Workflow Sessions and Source Workflow Responses to Eyewitness Reports, you will gain insight into how it is possible to deal with even difficult situations and remain on track with seeking to understand the Total Abundance that is needed in that moment to carry the conversation to a Source-Guided conclusion. As we move forward on the work of Stage Two of The Global Prototype for Total Abundance, we will need to do a lot of Soul Talk Sessions to help to get at the issues in the various levels of the Conscious and Extended Range of the Suit that need to be aired and worked through if genuine inner and outer change is to occur. A Total Abundance Way of Life is an Integrated Way of Life. Integration can not be built on the shifting sand of Fragmented Consciousness. The Fragmented Consciousness has to be Integrated so that it can be a solid and reliable foundation upon which beings can build toward the experience of Ultimate Integration, which is The Heaven Experience. If you understand the Heaven Agent Communications that you will encounter here as part of your training to learn how to communicate effectively with others as a Source-Directed Spiritual Activist, you will gain insight into how to progress on your own path to becoming skilled in working with Soul Talk Communications to effect Source-Directed Change. The key to learning from the communications of another Heaven Agent is to turn to the Source for guidance so the Source remains your teacher and not the Heaven Agent. In this way, you remain Source-Centered and Source-Guided. The Source can then draw your attention to a particular understanding that you need to focus on in any given communication and you can open to this understanding within the context of a Session with the Source in which a Heaven Agent Communication is the focus. This Source-Centered Focus prevents the kind of learning where one person tries to emulate another person and becomes worried that they may not be receiving the same kind of information as the other person is receiving. 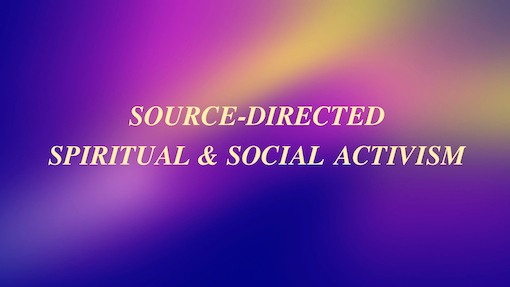 The Source sends each being individualized kinds of information and experiences that are based on their Spiritual Function, Miracle-Based Abilities, Mission in life, and where they are on their Spiritual Path. The goal is to expand your range of what is possible from learning from others without judging yourself or the kind of information that you receive by what others receive. The kind of comparative, competitive learning that is the hallmark of The Story World, suppresses a person’s ability to discover the unique being that they are and to make space in their life to enter into the Miracle-Based Adventure in Learning that the Source will create for them individually. Opening to a Source-Guided Adventure whenever you work with any Heaven Agent Communication, is the key to maximizing your learning while retaining your forward momentum to discover who you are as a Spiritual Intelligence and to open to learning in the ways that you will be guided by the Source to learn. Almost every Recorded Training includes Soul Talk communications from Heaven Agents throughout the Creation. Some Source Workflow Trainings are exclusively for Soul Talk participants and other include Heaven Agents Teleconferencing in along with Heaven Agents coming in via The Soul Talk Network. These Recordings are the best way to learn about how Heaven Agents work with the Source and to observe the training that I give to help them to advance in their work of becoming Stewards of their own lives and of Life in the Creation. What follows is a list of places where you will find Recorded Trainings in which Heaven Agents have participated. There are two types of written or transcribed Heaven Agent Communications. There are Communications from Source-Directed Project Work which could be transcriptions from Recorded Trainings or from Source Workflow Sessions or from input from The Soul Talk Network to which I respond in Source Workflow Responses. There are also Shared Insights and Experiences that are direct Heaven Agent to Heaven Agent Communications about their understandings about what it is like to be a Heaven Agent, learning how to become a Steward of Life. To access these kinds of communications, you can reference the links provided below.